Unveiled at the inauguration of its Moscow boutique, Lange has now made its Langematik Perpetual available for the first time in white gold, with a black dial, a colour combination typically found only in platinum models. Historically black dials have only been available with platinum-case Lange watches, like the Datograph for instance, or limited editions. 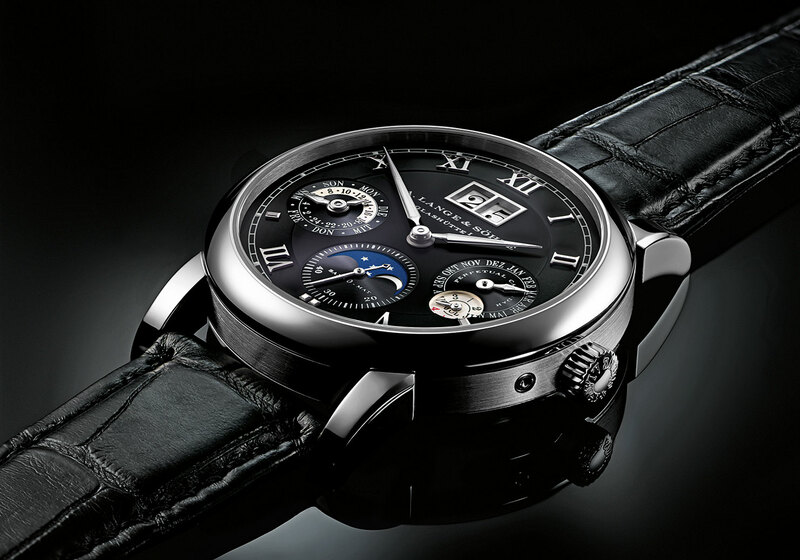 The vast majority of Lange timepieces have silver-tone dials. 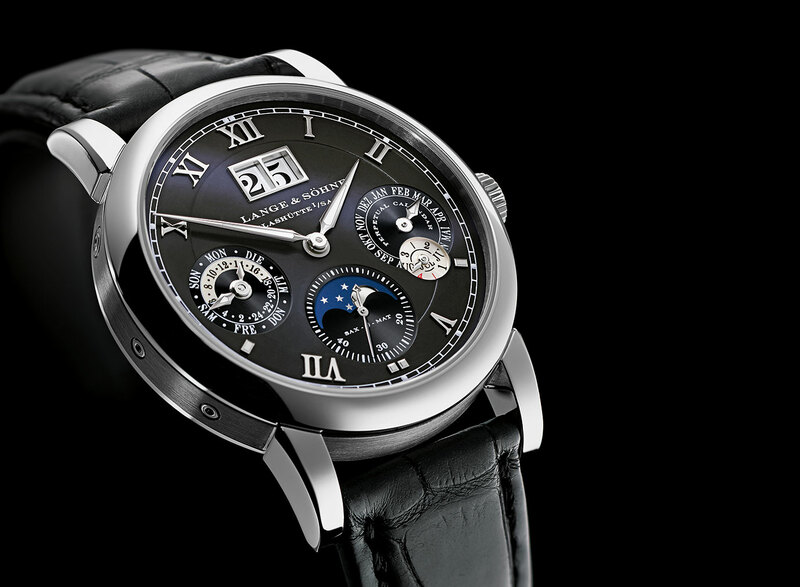 But now Lange has unveiled the Langematik Perpetual in white gold with a striking black dial (ref. 310.026). Like most Lange watches the dial is made of solid silver, then lacquered black with the indices in contrasting rhodium-plated gold. And the oversized date in white along with the silvered leap year display and day and night indicator provide further contrast against the black dial. Mechanically the new perpetual calendar is identical to the existing models in rose gold and platinum. 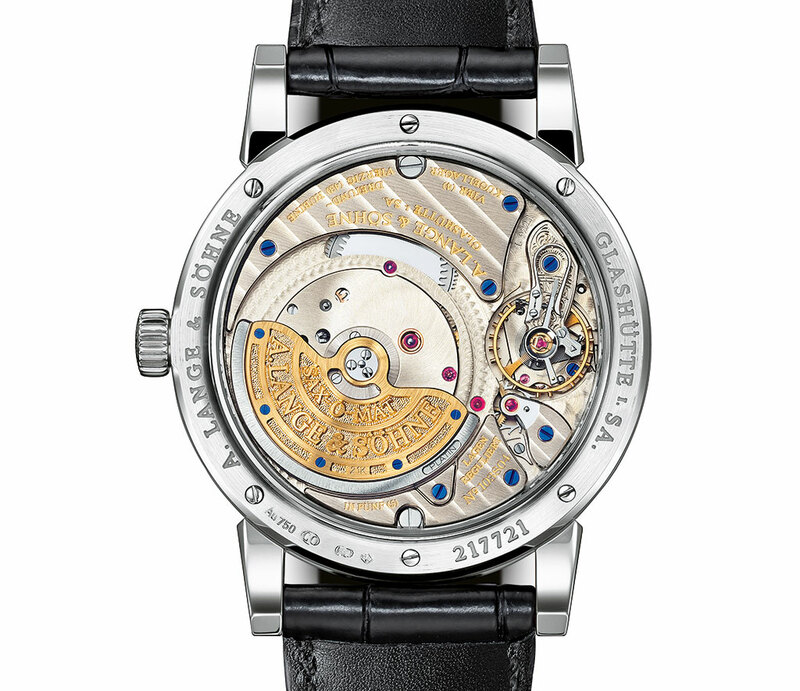 The case is the same 38.5 mm diameter with the calibre L922.1 inside. In addition to the perpetual calendar functions, the movement also features Lange’s patented Zero-Reset seconds – when the crown is pulled to set the time the seconds hand reset to 12 o’clock and stop. 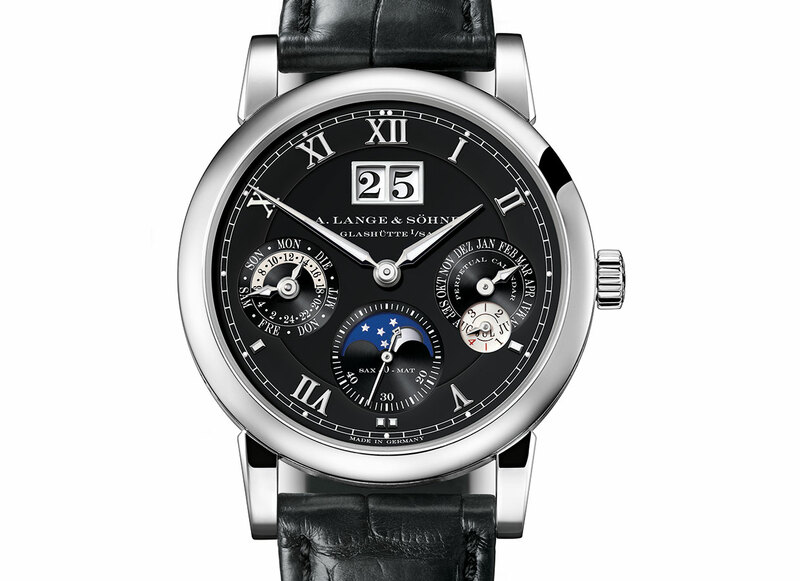 Notably this is not the first Langematik Perpetual with a black dial. In 2008 Lange made a 25 piece limited edition in rose gold with a black dial for Singapore retailer Sincere Watch. The decision to make this in white gold instead of the expected platinum might be due to the straitened times the watch industry is facing. Naturally this costs less than the platinum model, about 15% less to be exact. 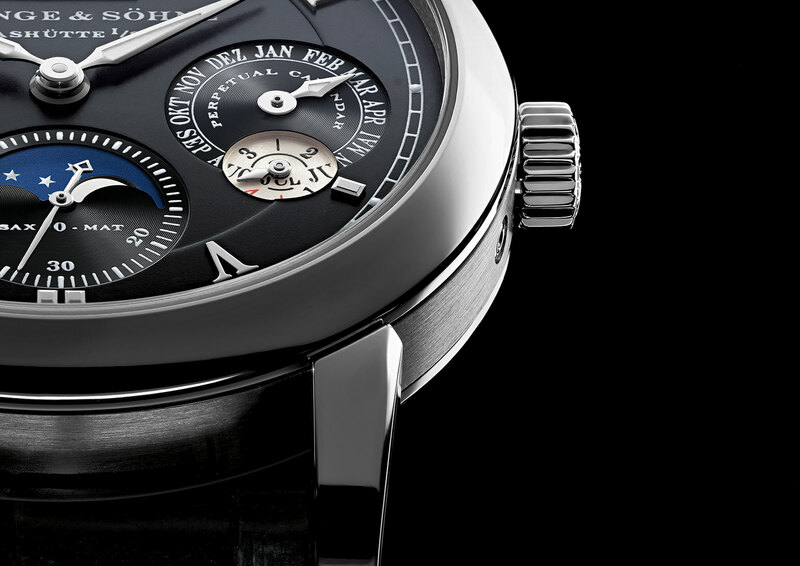 The Langematik Perpetual in white gold is part of the regular collection and retails for €68,000 or US$84,200.